Reducing credit card debt needs to be a top priority when you notice one or more of the following indicators, which reveal you're headed for serious money trouble. According to the Foundation for Credit Education, these are the warning signs of excessive debt. 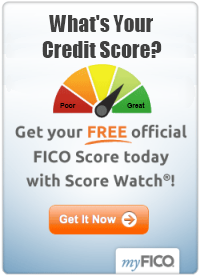 You are approaching or have maxed out the credit limit on one or more of your credit cards. You don't have the money in any given month to pay the full amount that you charged for your purchases. You have difficulty paying your bills on time. You are working extra hours at your job or are looking for a second job just to keep up with the amount of money you spend each month. To keep pace with your spending, you are tapping (and draining) the money in your savings account. The amount you pay each month for credit cards and loans (not counting your mortgage) exceeds 20 percent of your monthly net earnings. You've applied for a new credit card or loan and have been denied. You don't know how much money you need to cover your expenses each month. You don't know how much money you owe each month or how much debt you have accumulated. You don't think about the importance of reducing debt. You pay only the minimum amount due or less on your monthly bills. You have defaulted on your mortgage payment or failed to send your landlord the money you owe for rent. You send in a bill payment with a post-dated check. You receive a notice (or two) from your financial institution that you have insufficient funds to cover a payment. You receive phone calls from bill collectors saying your payments are past due. You are looking into options for a consolidation loan to pay off your credit card balances or other obligations. You have one or more bank accounts that have delinquent status. Your property (car, home or other) have been repossessed by a creditor. You are facing legal action for nonpayment. If you can relate to any of the above warning signs, your financial situation is serious and you need to take immediate action to begin reducing credit card debt. There are a variety of options available that will help tackle your debt problems. And, you may want to implement multiple strategies as part of your plan to cut your debt and decrease spending. 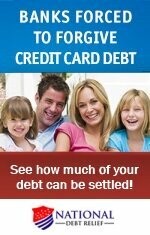 The following article links will provide you with insights regarding your choices for debt relief and how to proceed. In addition, you can find free information and resources for reducing credit card debt by clicking here: Free Credit Card Debt Help.